Amid stringent guidelines on managing exposure to hazardous substances at work, Bureau Veritas has called on the construction industry to ‘work smarter’ on addressing the risk silica dust poses to employees. Silica is a material found in most types of natural stone, clay, bricks and sand and activities such as grinding, crushing and mixing break down the silica and generate a fine dust like Respirable Crystalline Silica (RCS). Regarded as one of the most significant causes of occupational lung disease worldwide, exposure to RCS can cause Chronic Obstructive Pulmonary Disease (COPD). 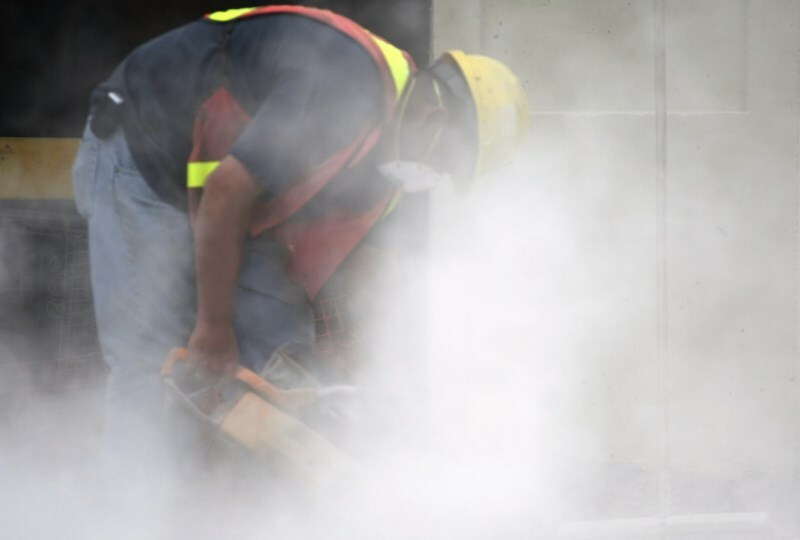 According to global certification expert Bureau Veritas, in light of recent industry campaigns to raise awareness of the hidden danger of silica dust, it has never been more important for construction firms to ensure they have the right occupational hygiene programme in place. However, adds Bureau Veritas, with so many factors to consider and a myriad of different regulations to meet, such as Control of Substances Hazardous to Health Regulations 2002 (COSHH) and the Health and Safety at Work Act 1974, construction firms can often struggle to effectively manage the health of employees who perform operations involving stone, rock, concrete and plaster.